Advanced Cutting Tools are partnered with the globe's leading OEM's in order to supply customers with only the best cutting tools out there in the market. To complement our cutting tool range of branded OEM's, we also have the facilities to supply and support high-tech inspection equipment. 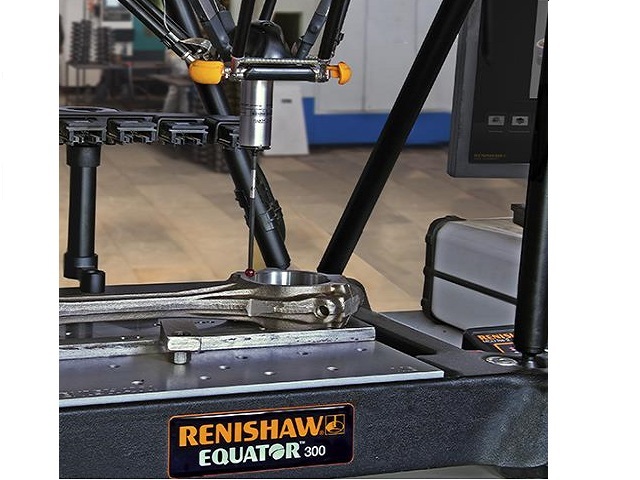 The Renishaw Equator is a flexible gauge designed to provide speed, repeatability and ease of use for manual or automated applications. The Equator gauging system is a unique design in terms of method of operation as this system can be configured accordingly exactly to your application or manufacturing processes. Constructed with a parallel kinematic constraint mechanism which has high stiffness to endure excellent repeatability at fast operating speeds. Capable of form measurement for full feature analysis using the rapid and repeatable scanning functionality of the SP25 probe. Compatible with the industry standard TP20 touch trigger probe.